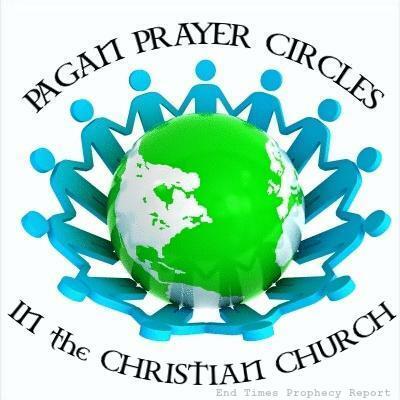 PAGAN PRAYER CIRCLES: Many Christian Churches pray in circles. Is this Biblical? WHERE DID PRAYER CIRCLES ORIGINATE? WHEN DID THEY ENTER THE CHURCH? HOW DID THEY ENTER THE CHURCH? 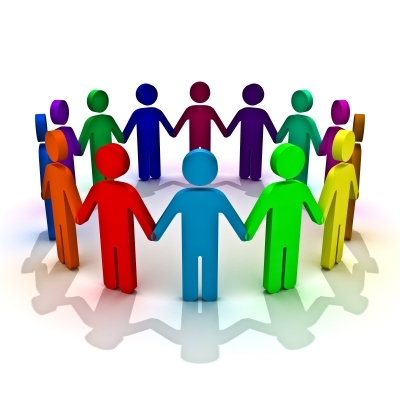 PRAYER CIRCLES – Praying in a circle, holding hands: where does the practice come from? Why can’t one find it in the Bible? Where did prayer circles originate and how and when did they enter the Christian Church? A 15-year-old study by Ed Tarkowski answers many questions–and predicts where the practice may be heading. CHRISTIANS PRAYING IN A CIRCLE: WHERE DID IT ORIGINATE? 1999, Ed Tarkowski published a four-part study on prayer circles, a practice that was, at the time, just gaining popularity in some Christian churches. While the study is full of useful information on the origins of such rituals, it’s extremely interesting to read the study 15 years later. Prayer circles have a long history of use among pagans, witches, and other occult practitioners. But the use of the prayer circle in Christianity, like so many other modern rituals, practices and doctrines, can be traced to the American apostate church. In 1999, Tarkowski noticed the increased use of prayer circles by Christians, but he also noticed that Christians were late-comers to the prayer circle game. Others had used these circles for decades–sometimes centuries. If you doubt that prayer circles are so widespread, or such a powerful tool, read the list below of just a few of the examples of prayer circles that I found on the World Wide Web. Besides these sites, there are numerous New Age and Christian Chat Sessions (used by Internet users to discuss various topics) that include prayer circles or discussions sbout them. As you will see, the circles are prevalent in the apostate church, the New Age, and even in the secular world. The whole world is being prepared to welcome the arrival of the Beast of Revelation 13, and to follow after him. One of the most interesting of Tarkowsi’s findings concerned the mention of joining hand-in-hand in the Bible its connection with those who intend evil. The Prayer Circle: What is its Unbiblical Origin? – This is the introduction to the four-part study with links to the other sections. When a link to this study was first posted five or six months ago, it offended some. Those it offended 1- couldn’t point to a single instance in the Bible of believers praying in a circle; and, 2- are strong believers in sanctification by participation. If they do it, it must be holy. It’s holy because they participate in it. This study got this writer thinking back: not once could he ever remember praying in a circle–and the opportunities for public or church prayer over the years were many. This practice was unknown to him until he joined a church which endorsed this style of prayer. PRAYER CIRCLES: Witchcraft in Charismania – Some additional thoughts. Prayer Circles: Their Unbiblical Origins, part 2 – This 1999 article warned of the invasion of prayer circles into the church, predating The Circle Maker by 14 years. It’s part of a four-part series which is both informative and interesting. It’s conclusion is that prayer circles are preparing Christians for the coming one-world beast religion. DECEPTION – This writer often remarks about the deception which envelopes the USA. It is everywhere in our culture and especially in our media. The reader who does not think that this deception is blanketing him is a reader already deceived. One of the enemy’s greatest deceptions is the use of the “Christian” label. Slap a “CHRISTIAN” label on a book–voila! What is filled with occult themes is now “Christianized” and thought perfectly safe for consumption. The same process is used for films, music, DVDs and other media. How many churches have mindlessly pushed cleverly-packaged media to their members because it carried a “Christian” label? There are many examples; for now, Harry Potter, The Harbinger and The Circle Maker will do. Churches in America are under an unrelenting assault. The weapons used to deliver the enemy’s message are the culture, the music and the ignorance and pride of many of the very ones manning the walls watching. Do you know the One who will never deceive you? Before the pagan witchcraft of Mark Batterson’s The Circle Maker, there were prayer circles. In fact, one might say that without the preparation of prayers circles, The Circle Maker would not have been possible. The enemy is a master deceiver.